Welcome to Convault Australia, the leader in above ground fuel storage technology. Originating in the United States of America, the unique design for our tanks has taken many hours and a great deal of care to develop in order to offer what we think is the most complete and safest fuel storage device anywhere in the world. 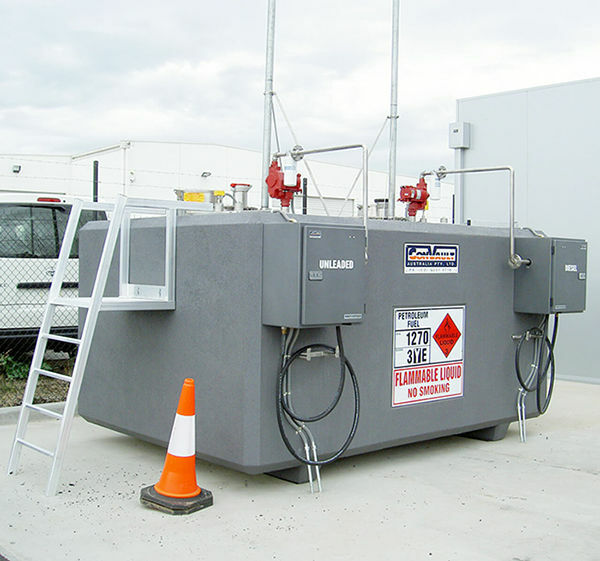 Convault Storage Tanks are perfect for the safe storage of fuels such as unleaded, diesel, jet fuel, fuel or waste oils, ethanol and methanol. Our major strength is the ability to contain so many different combustible materials in different environments that other tanks would struggle to survive in. Please take the time to look through our site and feel free to contact us for assistance on choosing the right design for your application. The need to store fuel for these engines has been an ongoing concern ever since, with many different solutions having been used over the years. History has shown us that most of them have been flawed in one way or another. Convault, through their years of experience have developed what they think is the safest and most environmentally friendly solution so far with their range of above ground tanks, that range in size from 1000 to 25,000 litres, in a variety of configurations, colours and finishes. Our need to store fuel in large quantities has risen since the popularity of the internal combustion engine, which today allows us to travel great distances by land air and sea.